DANGER. Don’t say we didn’t warn you. 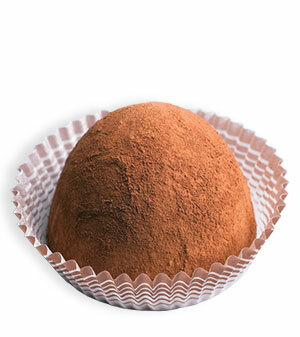 We took chocolate-on-chocolate just a little bit further and created a truffle that stands as King. The King of truffles is dark chocolate inside and out and dusted in cocoa powder to give it that innocent unsuspecting finish. Its earthy appearance doesn’t scream “look at me”. It’s the sleeper at the back of the box.